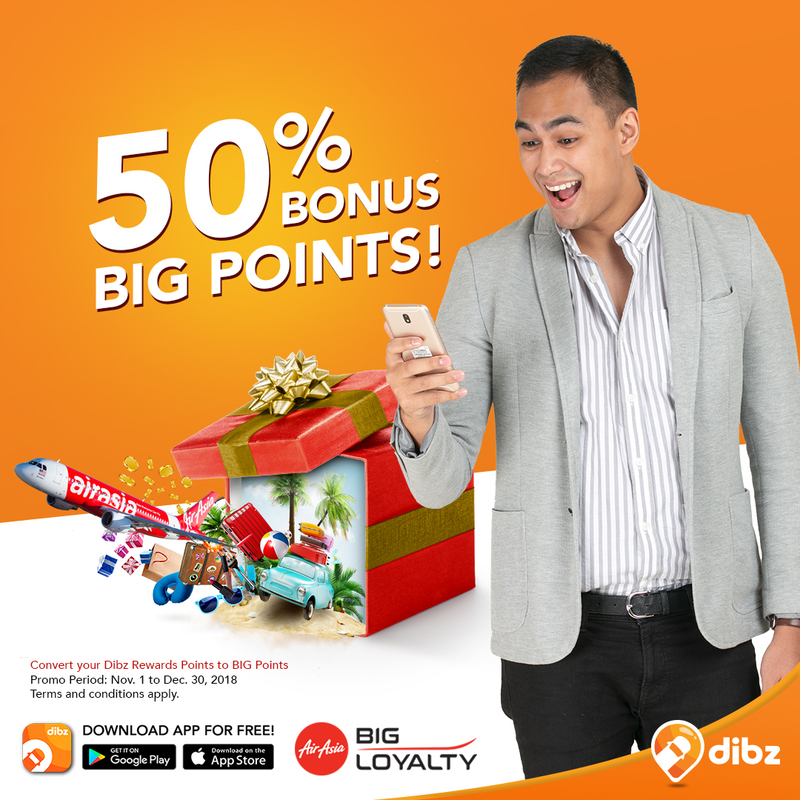 Convert your Dibz Reward Points to AirAsia Big Points to get an additional 50% bonus points! 1. This “50% Bonus BIG Points Promo” [“Promo”] is organised by BIG Loyalty Sdn Bhd (formerly known as Think BIG Digital Sdn Bhd) [“Organiser”]. 2. By participating in this Promo, all participants [“Participants”] will be deemed to have read, understood and expressly agreed to be bound by the Terms & Conditions of this Promo as stated herein and any additional terms and conditions stipulated by the Organiser (as may be applicable) including the decisions of the Organiser in all matters related thereto. 3. Information on how to participate forms part of these conditions of entry. Registration for and/or participation in this Promo is deemed as acceptance of the conditions of entry. Acceptance of these Terms and Condition is a condition of entry. 4. This Promo runs from 1 November 2018, 00:00 (GMT +8) and ends on 31 December 2018, 23:59 (GMT +8) or while stock lasts (whichever is earlier) (“Promo Period”). The Organiser reserves the right to amend or extend the duration of the Promo at any time as deemed fit. c. Participants must make the Successful Purchase and/or Successful Conversion within the Promo Period as it is valid on a first-come-first-served basis. The total Bonus BIG Points giveaway during the Promo Period is capped at 60,000,000 BIG Points. *Subject to availability. Terms and conditions of the hotel operators apply. The Prizes are limited to 2,000 eligible Participants throughout the Promo Period. 6. 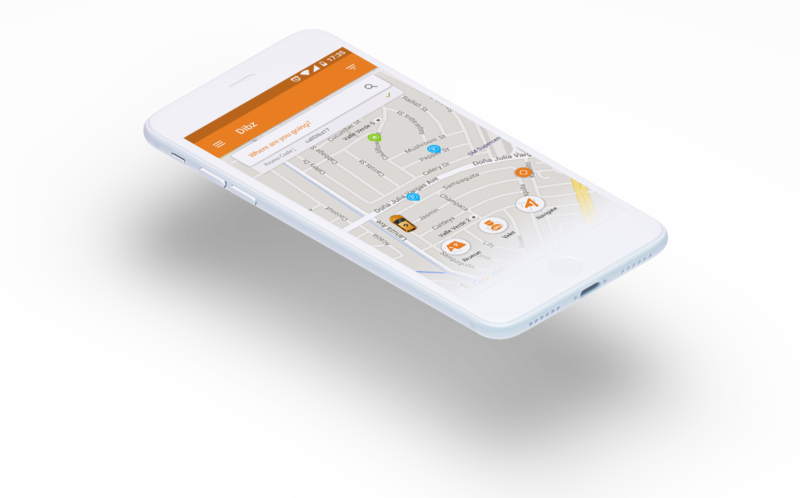 Each qualified Participant is only entitled to receive a maximum of 20,000 Bonus BIG Points per transaction. 7. Participants are allowed to make multiple purchases during the Promo Period but can only win the Prize once. Only successful transaction during the Promo Period will be deemed as qualified for the Promo entitlement. Unsuccessful transactions will be disqualified without notice. 8. The BIG Points will be credited into qualified Participant’s BIG account within 30 working days’ from the end date of (i) each Promo month and/or (ii) the Travel Period, whichever applicable (or any other period as the Organiser deems necessary) subject to the Organiser receiving all information as deemed necessary. 9. For avoidance of doubt, Successful Purchase does not include taxes, courier charges, exchanged, returned, invalid items, cancelled booking or no-shows, where no BIG Points and/or Bonus BIG Points will be issued. 10. The Organiser reserves the absolute right, at any time, to verify the validity of the transaction and Participants. Without limitation, Participants agree to provide a copy of the identification card or passport to the Organiser upon request. The Organiser’s decision in relation to all aspects of the Promo are final, binding and conclusive under any circumstances and no correspondence nor appeal will be entertained. 11. If for any reason this Promo is not capable of running as planned, including but not limited to tampering, unauthorised intervention, fraud or any other causes beyond the control of the Organiser which corrupt or affect the administration, security, fairness, integrity or proper conduct of this Promo, the Organiser reserves the right in its sole discretion to cancel, terminate, modify or suspend the Promo. 12. The Organiser reserves the right at its sole discretion to disqualify any Participant and/or to retract or forfeit the award of BIG Points from any Participant if it believes the Participant has (singularly or jointly with any other Participant) undertaken fraudulent practice and/or activities to earn the BIG Points or undertaken in any activities harmful to this Promo or to the Organiser. 13. The Organiser reserves the absolute right to cancel, terminate or suspend the Promo with or without any prior notice and/or assigning any reason. For the avoidance of doubt, cancellation, termination or suspension by the Organiser shall not entitle the Participants to any claim or compensation against the Organiser for any and all losses or damages suffered or incurred as a direct or indirect result of the act of cancellation, termination or suspension. 14. The Organiser accepts no responsibility for late, lost, incomplete, incorrectly submitted, delayed, illegible, corrupted or misdirected purchase or correspondence whether due to error, omission, alteration, tampering, deletion, theft, destruction or otherwise. 15. The Organiser, subsidiaries, affiliates and associated agencies and companies will not be liable for any loss (including, without limitation, indirect, special or consequential loss or loss of profits), expense, damage, personal injury or death which is suffered or sustained (whether or not arising from any person’s negligence) in connection with this Promo, except for any liability which cannot be excluded by law (in which case that liability is limited to the minimum allowable by law). 16. The terms and conditions contained herein shall prevail over any inconsistent terms, conditions, provisions or representation contained in any other promotional or advertising materials for the Promo. 17. The Organiser reserves the absolute right to vary, delete or add to any of these terms and conditions (wholly or in part) from time to time without any prior notice to the Participants. 18. The information Participants provide will be used by the Organiser for the purpose of conducting this Promo. The Organiser may disclose Participant’s personal information to contractors and agents to assist in conducting this Promo. 19. The Organiser further reserves its right to use any collected personal data of Participants in any manner and/or for any purpose related to this Promo and the Participants are deemed to consent to such use with no monetary payment. 20. BIG Points and Bonus BIG Points cannot be exchanged for cash. 21. Usage of BIG Points is subject to the BIG Membership terms and conditions. 22. These terms and conditions may be translated into other languages. In the event of inconsistencies between these terms and conditions and the translated versions, the English version shall prevail.